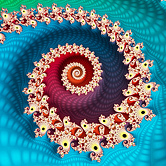 Generate fractals for free with Zen Mandelbrot Window! New Version! Now with global favorites sharing right inside the settings screen! Zen Light is a screen saver that builds extremely intricate and beautiful patterns from the contributions of thousands of individual dots. 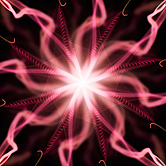 Try the new Audio Synchronization feature for ultra-cool visualizations! The display is constantly in motion and evolving. Be captivated by the natural rhythms and endless outpourings of color and light. Let the organic imagery, chaotic yet ordered, fire your imagination and creativity! All the beauty of Zen Light the screensaver in an interactive window! View any of the patterns from the World Library with this free program. Resize, zoom, colorize, save screen shots and more! If you like fractal art, you'll love this screen saver, which renders portions of the Mandelbrot Set in very striking and visually artistic ways. A surprising twist on the world's most popular fractal. In memory of Benoît Mandelbrot (1924-2010), please enjoy this interpretation of the Mandelbrot Set in a desktop app for free! Generate the same colorful Mandelbrot fractal images seen in the screen saver, but in a desktop window where you can explore the set yourself. 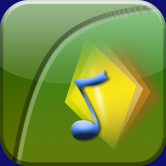 Zen out with your iPhone or iPod Touch while letting your musical creativity flow! Light and sound spill forth from the slightest touch. Even if you've never played an instrument before, just let your fingers create beautiful harmonies with Zen Music. Chords play in a variety of musical scales and keys, or freeform gliding tones flow similar to an electronic theremin. Watch as cascading silver balls ring a chorus of chimes, creating a soothing soundscape for meditation, relaxation, or just a unique alternative to wind chimes. 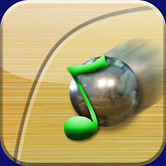 Many chime sounds and musical scales are available to suit your mood. Known just as "Wind Chimes" by Syntrillium in a previous incarnation, I'm now making this free! Currently there is no help file or Setup... just a single ZenChimnesClassic.exe. I'm working on integrating the Zen Music/Chime Box synthesizer engine into the classic Wind Chimes, so watch this space! Visit the Galleries to see some sample screen shots from each of these Windows based screen savers.